The frosting choices for your cake are nearly endless. From classic buttercreams to tangy cream cheese, you're sure to pick one that suits the cake and decorations. Most can be tweaked to suit your flavors as well. While most people may picture Wilton buttercream frosting when talking about cake icing, and while it's certainly good, it's not the only option out there when it comes to making buttercream. Most, but not all, buttercream frostings work well for piping decorations and can be paired with virtually any cake flavor you desire. The traditional easy buttercream recipes made in the U.S. involves whipping butter up with a dash of vanilla or other extract plus powdered sugar. Some recipes use milk, cream, or water for liquid in addition to the extract. If you need a stable buttercream, recipes may swap in shortening for all or part of the butter. As its name implies, egg whites are a key component in a Swiss meringue buttercream. It involves heating the whites with granulated white sugar on the stove and then combining with butter to make a smooth frosting. It's not as sweet as the American version, but can be piped just as easily. Try a Swiss Meringue recipe and see how it compares. An Italian meringue buttercream recipe is similar to Swiss, except a sugar syrup is added to the egg whites, rather than cooked together. It's another popular choice but again, is more difficult that the American version. It can be used for most decorating purposes like the American style or Swiss Meringue. German buttercream is made with a custard-style base. It does not hold up in heat, so you're probably not going to want to use it for heavy decorations. Instead, consider it for filling between layers or for simple frosting swirls. A German buttercream recipe is a great choice if you enjoy creamy desserts. Unlike its Swiss and Italian counterparts, French buttercream uses egg yolks with the whites to create a delicious buttercream frosting. Once cooked, it does have a slight yellow hue, so keep that in mind when selecting your tint colors. 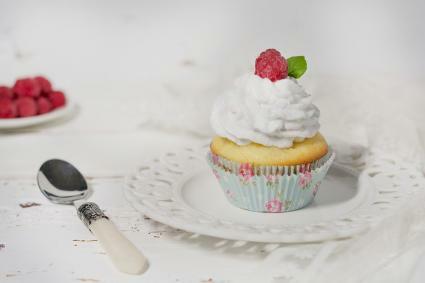 Consider using a French buttercream recipe to frost your next baking project. Cream cheese frosting is a rich option that pairs well with flavors like spice or carrot cake or the classic red velvet. It can also be used with dark chocolate cakes. The slightly tangy choice can be flavored with chocolate, lemon, or other option to pair with the flavor of your choice. 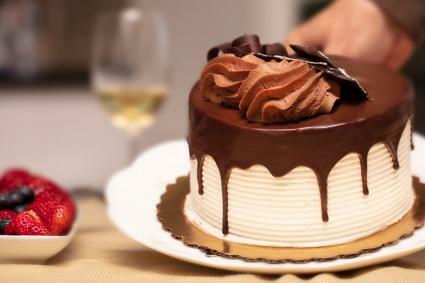 It can be used for basic piping decorations, but be careful: cream cheese frosting needs to stay in a cool environment for safety and stability. It's generally thicker than traditional buttercreams, making piping small details more difficult. 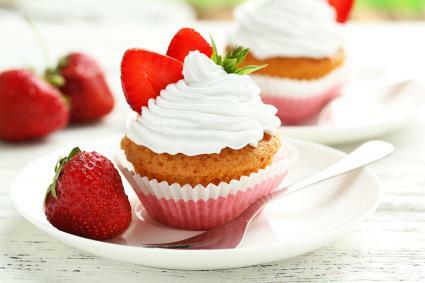 Stabilized whipped cream with a hint of flavoring works well for frosting a cake. 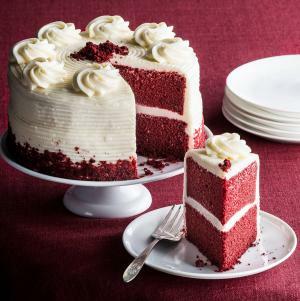 It's a good option for lighter cakes, such as strawberry or angel food cakes, or for people who don't care for heavier buttercream or cream cheese options. Don't plan to use it for a heavily decorated cake, however. You'll do best here using a large piping tip to make stars or using your spatula for pretty swirls in the icing. Ganache icing is a rich, thick chocolate frosting typically poured over chocolate cakes. It tastes great with peanut butter, caramel, and other decadent cake flavors. 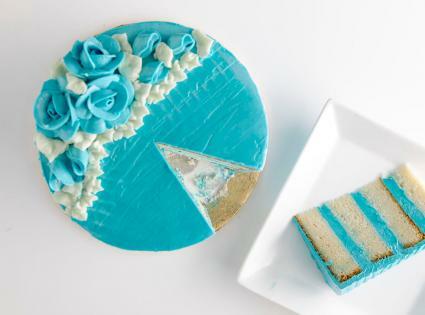 It produces a lovely dripped look if you don't cover the entire cake and is frequently combined with buttercream or cream cheese frostings for decorations. Ganache is often used with Bundt cakes. It can also be poured into molds for decorations. 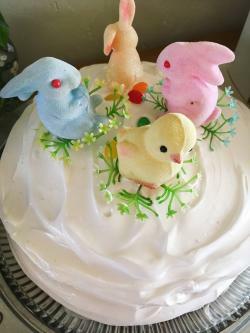 While some may place cooked flour frosting into the buttercream arena, not all cooks will do so. Also known as boiled milk or cooked milk frosting, ermine or old-fashioned frosting, this is a recipe that uses the unusual ingredient of flour cooked into the other more traditional ingredients. Top chocolate or red velvet cakes with this frosting. This is a frosting cooked on the stove that comes together in about seven minutes. Cream of tartar is used in it, along with egg whites and sugar, but there isn't any butter. It's a good option if you're trying to avoid dairy ingredients. Royal icing - Royal icing is used for detail work or for making hard shapes like flowers. Fondant - Rolled fondant covers cakes, while molded fondants can be made into figures. Poured fondants often cover petit fours and cupcakes. Gum paste - Gum paste is used to create hard decorations that sit on top of cupcakes and cakes. Marzipan - Marzipan can be rolled or molded, just like fondant, to cover cakes and make shapes. 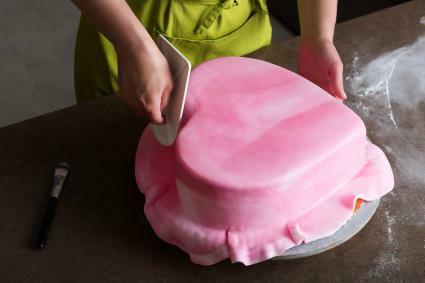 Cakes covered in rolled fondant or marzipan often have a thin layer of another type of frosting below them to help secure the cover and provide additional flavor and moisture to the cake. 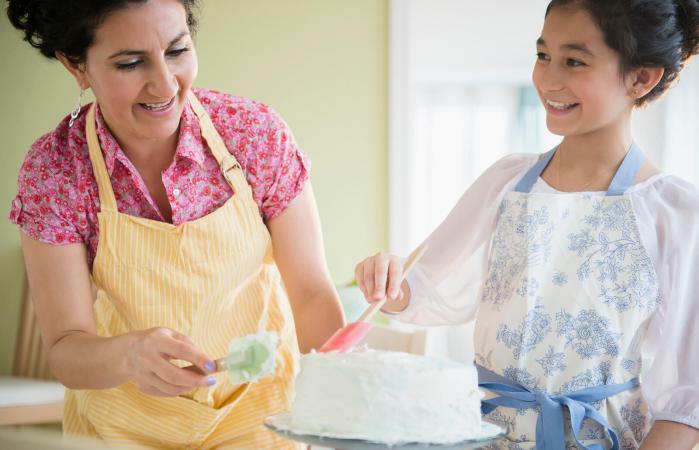 When it comes to adding frosting to your cake, you should consider both the decorations desired and the flavor of the cake. As long as the decorations are suitable for your medium, select the flavor and consistency you like best.